With the government shutdown nearing its fifth week, restaurants and companies have stepped up in a big way to lend a hand to the 800,000 government workers not receiving paychecks. Many of the efforts have come from Washington D.C., home to the greatest concentration of those not receiving pay as the shutdown continues. Celebrity chef José Andrés announced he is opening a free kitchen this week to serve those impacted in DC. The "Chef for Feds" site located on Pennsylvania Ave is a 20-minute walk from the White House and U.S. Capitol. He is also offering free meals at his restaurants around the country. "We believe that no person should have to go through the pain of not knowing what to feed the children," said Andrés, who has also recently provided food for victims of Hurricane Maria and other disasters. Also in DC, Kraft Foods opened a pop-up store which allows government workers to shop for free. 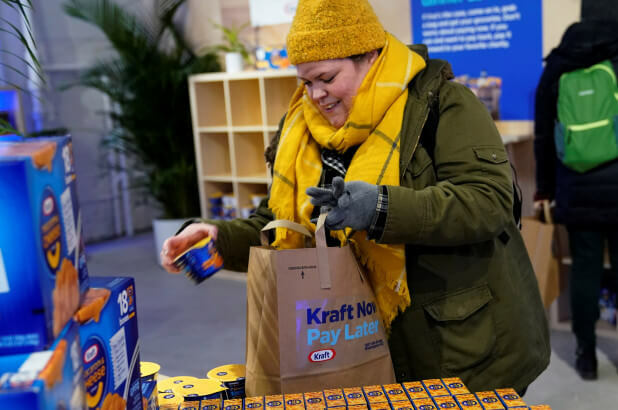 The "Kraft Now, Pay Later" initiative calls on workers not to pay Kraft back, but rather pay it forward by donating to their favorite charity once they are receiving paychecks again. "Kraft stands for families and we want to support the families who have built our brands. This store is one way we can help those affected get the grocery staples they need. And we celebrate all who are doing their part to help," said Sergio Eleuterio, Head of Marketing for Kraft. Across the country, food banks, churches, and other restaurants are doing what they can to help families in need, many of whom are having to dip into their savings or find outside help to pay the bills and feed their families. Thankfully, many are banding together to provide that outside help these families need.